Not that it needed more advertising, but the marketing and commercial push around the Beatles becoming available for digital download on Apple’s iTunes continues. 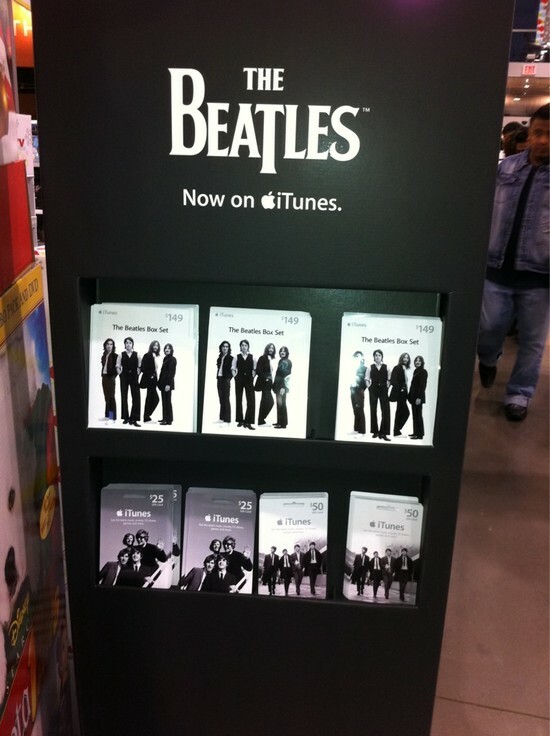 Seems that iTunes Beatles plastic gift cards of various denominations are being made available in the US, Canada, Britain and Australia (and probably many more countries). 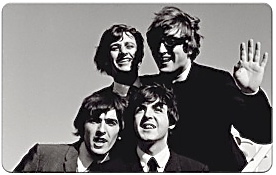 These cards are also available for purchase via the official Apple iTunes site, which says the “special edition” cards with Beatle images on the design can go towards any purchase in the iTunes Store, not just Beatles songs. As you can see in the image above the gift cards are available in $25 and $50 (US and AUS) amounts, and in the US there’s a $149 gift card variant specifically to purchase the entire catalogue as a so-called “box set”. The same has been done for Canada, while in the UK there are gift cards for £25 pounds and £50 pounds. Now I’ve noticed that the redeemed cards (i.e. they’ve been spent and are of no monetary value) have begun turning up on Ebay for sale as “collectable” items. 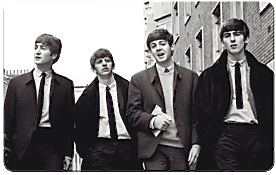 This entry was posted in Apple Records, Beatles, Beatles Collecting, Beatles iTunes, Beatles Music and tagged Apple Records, Beatles, Beatles Collecting, Beatles iTunes, Beatles iTunes Gift Cards by beatlesblogger. Bookmark the permalink. Collectable? Yaaaawn! I’ll be suprised if they even sell any! The end is near for the music industry. Save your vinyl!